I've been experimenting more with darker colours on my nails recently so I thought I'd show you this glitter combination that I did a few days ago. All I know about the navy polish is that it's by ORLY as I got them done at the nail salon. However while I was sitting there getting my nails done, next to a lady getting a pedicure that nearly made me walk out (I did in the end! 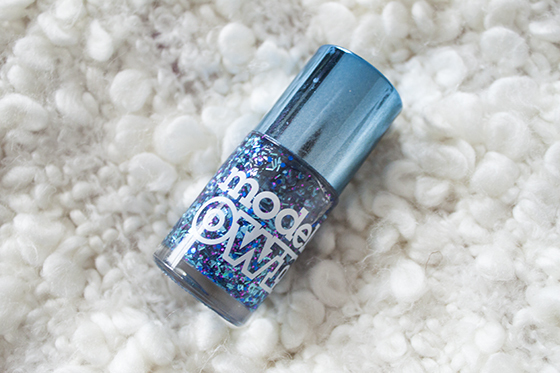 ), All I could think about was topping it off with Models Own Freak Out.Freakout is a clear polish packed full of flakes, glitter and all sorts of wondrous shiny bits and bobs in purple, blue and teal shades. 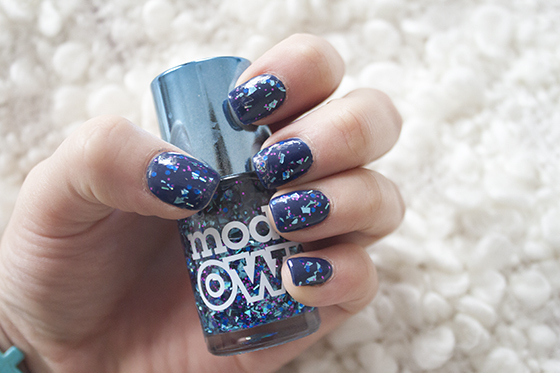 I thought this would be one of my least favourite shades from the Models Disco Ball Collection, but I actually really like it, especially layered over the navy!